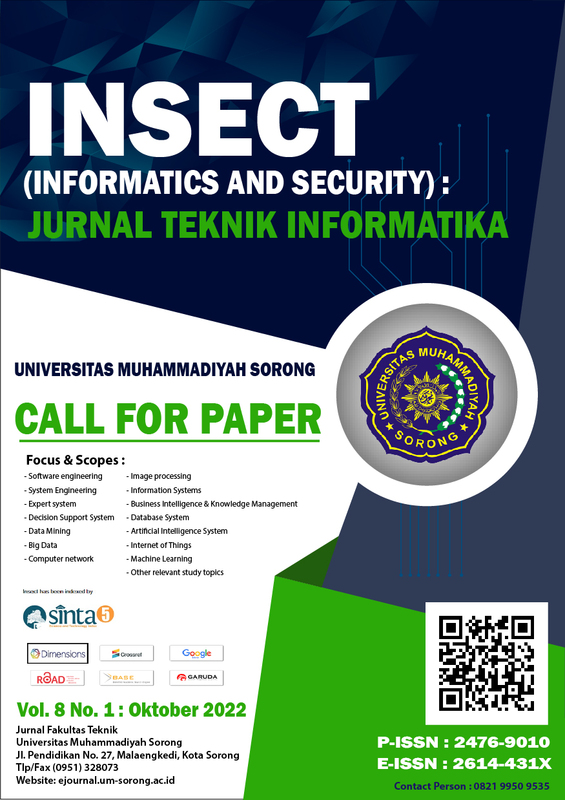 Insect (Informatics Engineering Journal)p-ISSN : 2476-9010 - e-ISSN : 2614-431X is a scientific journal which prioritizes the publication of articles related to informatics and Security issues that deal with informatics and security issues such as information technique, network and others. This is an opened-journal where everyone can submit their articles, as long as they are original, unpublished and not under review for possible publication in other journals. insect Journal is biannual publication issued in the month of October and March.